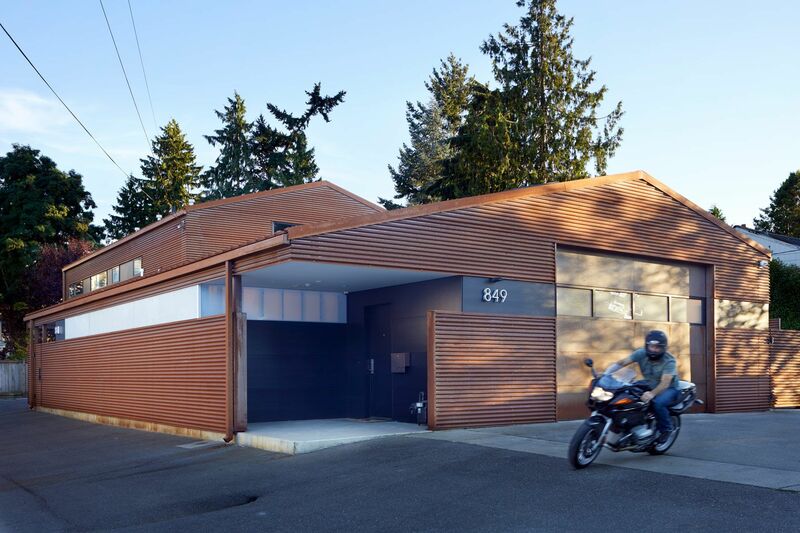 The remodel of this existing warehouse in Seattle changed the use to a motorcycle garage, jewelry making studio, and crash pad. Photography by Ben Benschneider. Open trusses on the lower floor were left exposed for motorcycle display. Materials were painted white to show off the bikes and collections. Everyone needs a place for their toys! 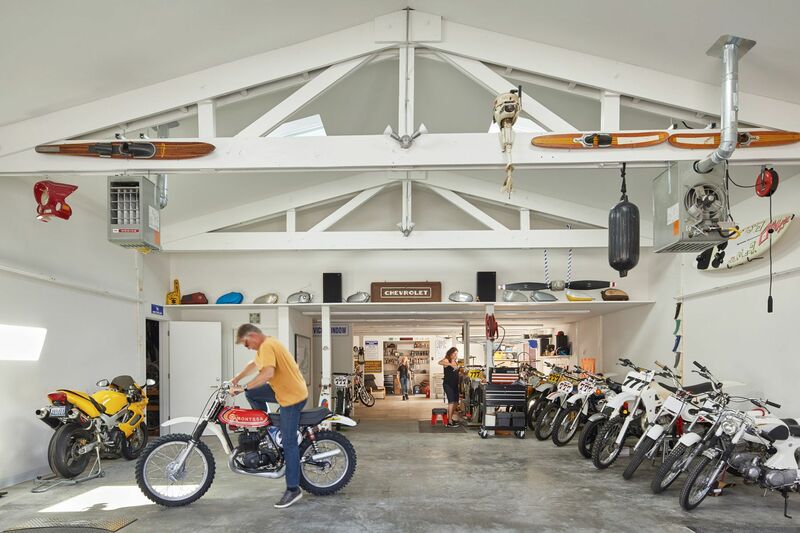 Overhead garage doors allow light to flood into the workshop. 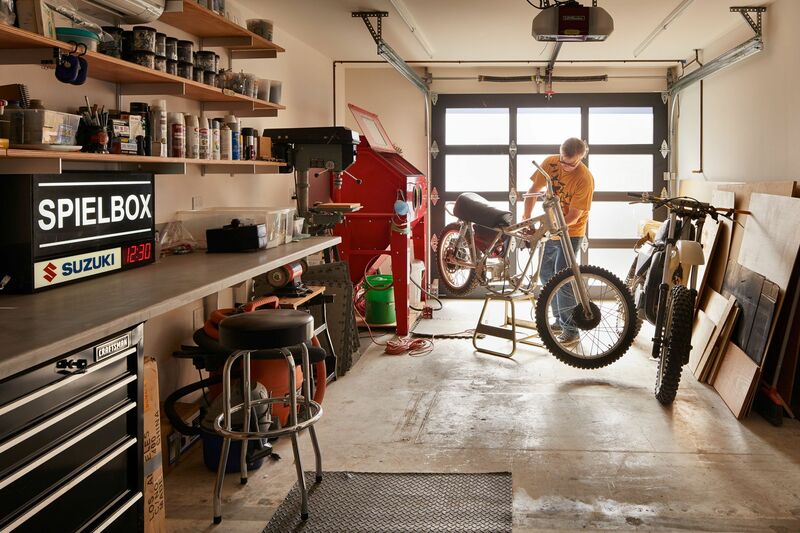 Garage doors open to a work yard for messy work. A stair leads up to a jewelry making studio and living space. Trusses were exposed and left natural. 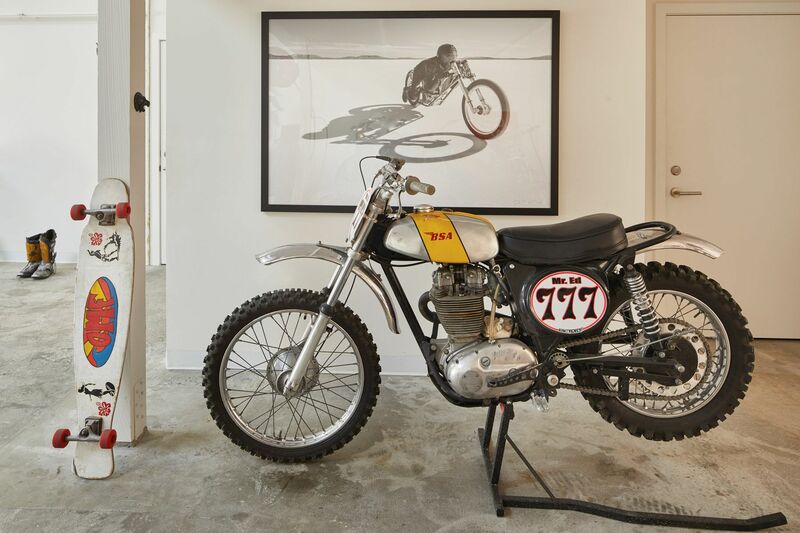 While the space serves multiple functions, it also allows the owners to display their collections. Materials are deliberately industrial and honest. 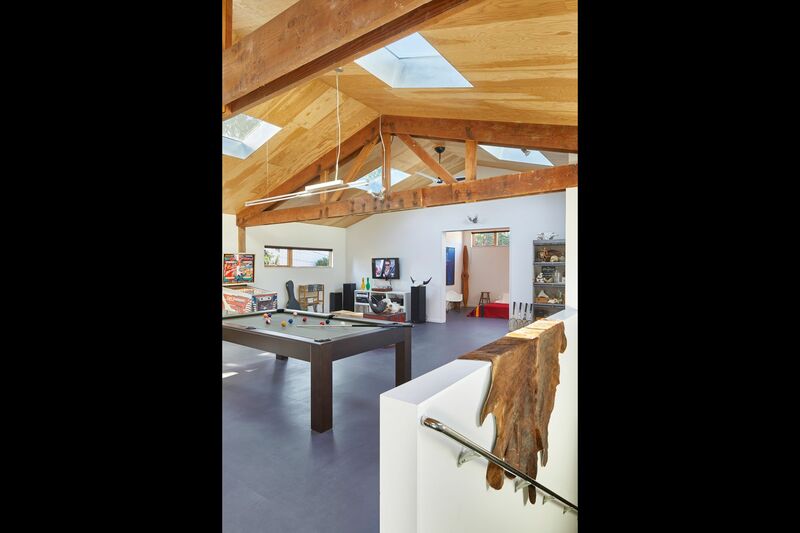 Large sliding doors separate the main living space from the bedroom. A second entry leads to the studio stair. The entire building was re-skinned in corrugated corten steel, to deliberately form a permanent rust finish.